For three weeks only, May 31-June 18, Pillsbury House Theatre will host the area premiere of Pike St. by Nilaja Sun. Pillsbury House Theatre is excited to announce its 2017 season, including a world premiere of The Great Divide: Plays for a Broken Nation; an area premiere one-woman show Pike St., written and performed by Obie-Award-winning playwright Nilaja Sun; and ≈ [Almost Equal To] by Sweden’s foremost playwright Jonas Hassen Khemiri. 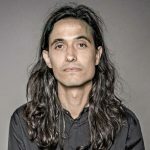 The 26th season of plays confronts a number of contemporary issues, ranging from the political landscape to the economy. 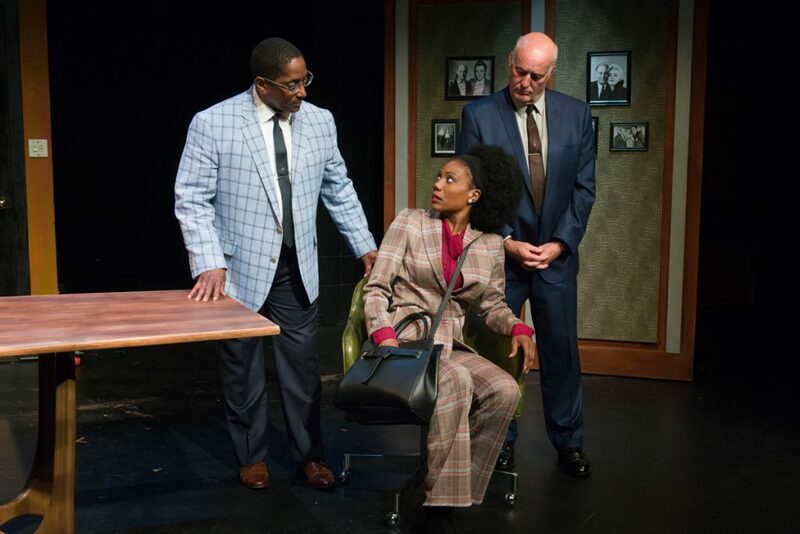 Brian Grandison, Austene Van and Stephen Yoakam in 2018’s West of Central by Christina Ham. In 2018, Brett Kavanaugh was confirmed to the Supreme Court amid allegations of sexual assault. For the first time in years, Roe v. Wade fell into constitutional danger. At the same time, the #metoo movement sparked a national dialogue around power and consent, and record numbers of women ran for public office. In a country continuing to fracture along political fault lines, women were on the frontlines of the divide. 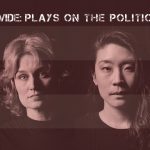 Following the tradition of The Great Divide I & II, Pillsbury House Theatre has commissioned five short plays on the state of women in the current political climate. Featuring all-women playwrights, actresses, and production staff, She Persists: The Great Divide III is a theatrical experience by, for, and about women. Athol Fugard’s early masterpiece Blood Knot is an unflinching exploration of race, apartheid and the complicated nature of family. At the time of its 1961 premiere, Blood Knot was the first South African play to be produced with an interracial cast. The play follows Morris and Zachariah, brothers divided by skin color but bound by blood, as they navigate poverty, love, and their complicated relationship. Featuring James A. Williams and Stephen Yoakam, two of the Twin Cities’ most beloved actors, Blood Knot is a tour de force of raw and honest emotion. Masterfully written and powerfully acted, Blood Knot turns an unblinking eye on the underbelly of our humanity. 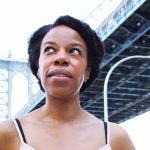 Jimmy and Lorraine: A Musing is a meditation on the American political climate of the late 50’s and early 60’s through the eyes of two of the most significant artists of the time, James Baldwin and Lorraine Hansberry. 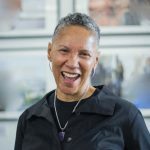 Using text from journals, letters, interviews, and more, Wilks brings Baldwin and Hansberry to life through their own words, deftly weaving their art, relationships, politics and identities into the tapestry of the play. The result is a captivating and intimate journey into the stories of two radical artists, friends, and revolutionaries. A foundational new work, Jimmy and Lorraine holds a mirror to the history of race, art and politics in America. Pillsbury House Theatre continues to offer pick-your-own-price tickets for all of its Mainstage productions. Season passes and single tickets are on sale now: purchase here or by calling 612-825-0459. For information about group sales, call 612-787-3622. What is Lovingkindness? from Pillsbury House Theatre on Vimeo. DEATH TAX Interview with Hayley Finn from Pillsbury House Theatre on Vimeo. Gidion’s Knot ASL 2 from Pillsbury House Theatre on Vimeo. Learn about THE ROAD WEEPS, THE WELL RUNS DRY from dramaturg Nakissa Etemad. Watch the video on Vimeo. Pillsbury House Theatre 2012 from Pillsbury House Theatre on Vimeo. Buzzer_Inrehearsal_Teaser from Pillsbury House Theatre on Vimeo.